Referring to someone as “the bee’s knees” was a complimentary catchphrase from the 1920s, the period of flappers and speakeasies. Though no one can say for certain, many agree this may be the inspiration for the moniker of this Prohibition-era cocktail that is sweetened with honey. Citrus and juices were often used to mask the harsh flavor of homemade liquor or "bathtub gin" during the Prohibition ban of 192o-1933. Bill Boothby, in his 1934 book Boothby’s World Drinks and How to Mix Them, mentions the Bee’s Knees as being made with a half a jigger of gin and a spoon each of lemon, orange and honey. These days, it is more commonly made with the simple elements of gin, honey and lemon juice. Clean and refreshing, it’s a perfect introduction to the world of classic gin cocktails. 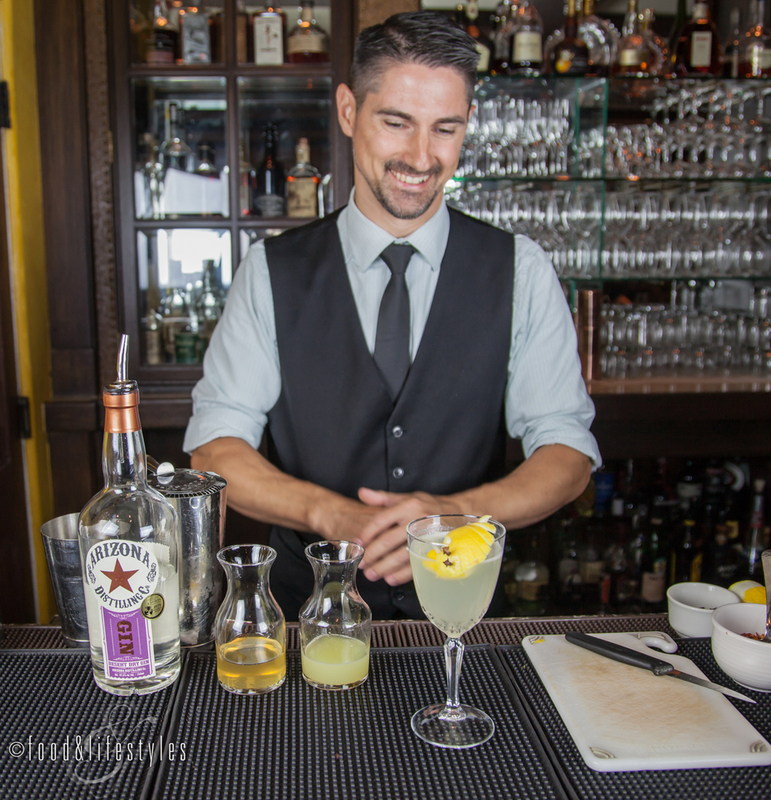 Although Boothby’s recipe called for a spoonful of honey, modern-day cocktail masters may whip up a batch of honey simple syrup, as Charlie Zeiler does for his version at The Mix-Up Bar at the Royal Palms. Combine gin, honey simple syrup, and lemon in a cocktail shaker and shake vigorously. Strain into a cocktail glass and garnish with lemon peel. *For honey simple syrup, heat 1/3 cup of honey and 1/3 cup of water over medium heat just until honey dissolves. Cool and refrigerate. Click here for an interview with Charlie Zeiler.